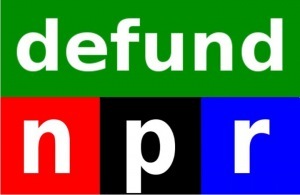 Now The Details: De-Funding NPR: Just Political Theatre or Something More? De-Funding NPR: Just Political Theatre or Something More? The US House of Representatives did it. In H.R. 1076, they voted along party lines not only to forbid NPR from receiving any federal funding. They also voted to stop any public radio station from using federal funds to purchase NPR produced programs. It's unlikely that the Senate will approve the bill when it is sent up for approval. That should kill the motion entirely. In the unlikely event that the Senate (with its Democratic majority) loses its collective senses and agrees to de-fund NPR, there is still a line item veto that President Obama has said he will use. But from what I hear from colleagues inside NPR, this has deeply shaken the morale of people who work in public radio. It shouldn't. Support for public radio is wider and deeper than what one highly ideological if appallingly ill-informed legislative gesture can undermine. Some of this is simply transference: I'm told by a psychotherapist of my acquaintance that it often happens. One person's fears are transferred onto someone else, or onto another idea or institution as a way of compensating for a sense of deep powerlessness. There is a lot of change in America and the way it once was, is simply not the way it now is. The ability of the media to explain and clarify is now much more muddied and obscured. Journalism has lost its once valued goal to provide community and context. Those that still do it (like NPR) are now seen as failing because they refuse to provide simple answers, aka, "informational comfort food." When I worked for NPR, I had the privilege of being invited by a couple hundred member stations to come and visit. I met with their journalists, spoke to their listeners on open line shows and then, met with them too, in face-to-face town hall meetings. Some were pretty raucous. This was during the two Bush administration terms of office. Anxieties were still high and tension was in the air. It was right after 9/11, the Palestinian Intifada was at its height, the war in Iraq was freshly raging and the political tone everywhere was harsh, to say the least. But what I found from meeting with thousands of people in more than 40 states, was that whether folks were left, right or center, they valued NPR. They didn't always agree with it, but they were glad it was there because it treated them like citizens and grown-up citizens, at that. I have to believe that despite today's rhetoric, much of that willingness to support NPR remains. It won't be easy, but it is now up to the next generation of NPR management to find the right mix of support from to create a bully pulpit that will allow NPR journalism to continue. It's shattering to read the statements made by some members of the House of Representatives today. But it's worth taking these elected representatives at their word. The challenge now for NPR is to partner with the best of the American journalistic, cultural and political life to push back against those who are afraid of something as basic and as honest as public broadcasting. As someone observed, NPR is not used to fighting back. But it needs to do so now with passion and with urgency and with more than tote bags. Who will speak up for public radio? House Republican Conference Chairman Jeb Hensarling (R-Texas) issued the following statement today after the U.S. House of Representatives passed H.R. 1076, a bill that, if enacted, would prohibit federal funding for National Public Radio (NPR) as a way to reduce job-destroying spending. “Republicans fully understand that to bolster job growth today and avert national bankruptcy tomorrow, the federal government must stop spending money that it doesn’t have. This especially applies to government programs that are particularly defective or wasteful. That is why the House voted today to ban federal funding for National Public Radio. For FY 2012, the Broadcasting Board of Governors is requesting $767 million, an increase of 2.5 percent from the FY 2011 full year Continuing Resolution level.